Despite being a relatively new company in the world of motor control, we were founded on the basis of several important values which we are proud to maintain. We certainly do not wish to be ‘preachy’ about any of these values but we are nonetheless committed to ensuring that we abide by them at all times in order to achieve the broader outcomes that we desire as a company. We have seen first hand the challenges faced, especially by the younger generations in the UK and wider world and are keen to support recruitment in this area wherever possible. In addition to this, we are committed to developing an ongoing CSR strategy as we grow as a company. We welcome enquiries from charities or events groups in the local area and will do our best to help wherever we can. The owners, shareholders and Directors will never receive more than 5 times the lowest paid full time staff at the company. 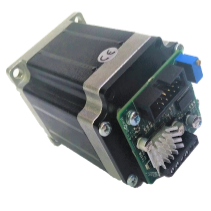 All Zikodrive Motor Controllers are designed and manufactured in the UK. This is to ensure fast lead times and high quality workmanship but also because we are passionate about the opportunities that can be created by having socially responsible manufacturing businesses in the UK. We have seen the damage wrought by the decline of the last wave of major industrial innovation in the UK and are keen to play our own miniscule part in replacing some of the industry and pride lost during this time in the North of the UK. NOTE: Unfortunately, we have been unable to source UK manufactured motors which work within our business model but we are open to any discussions from interested parties who may be able to support this. We are committed to being environmentally responsible. We limit travel as much as possible in order to reduce our carbon footprint. We also source goods as locally as is possible in order to reduce the distance travelled by our components. We recognise that any new development involves risk. We have seen many projects fail because interested parties are unable to find the right way to work together. Where a project involves commercial risk we endeavour to develop models which are fair for all parties and which will share risk. The motivation for this is simple. By working together and building trust we believe that we can be part of an innovative and developing economy. We do everything possible to ensure that we do not work with or tacitly support labour exploitation or environmental damage through the business partners we work with. All of the components we use meet RoHS and REACH regulations. In addition, we work hard to re-use before we recycle. We strive to work in as socially responsible a way as possible. The world is changing and we believe that business needs to change to reflect this.